Grand lobbies filled with sumptuous details — ceiling murals, elaborate ornamentation, inlaid marble floors — are being rejuvenated by developers hoping to lure home buyers to once-commercial buildings being converted to high-end apartments. A meticulously restored lobby with an interesting lineage, developers say, adds to a building’s wow factor. “You can’t invent it. You either have it or you don’t,” said Michael Stern, a principal of the JDS Development Group, which, along with its development partner, the Property Markets Group, has used the architecture of two recent conversion projects, the 1929 Walker Tower in Chelsea and the 1930 Stella Tower in Hell’s Kitchen, in its marketing. At the Beekman Residences, a new condominium that will adjoin and incorporate the 1883 Temple Court building, Mr. Patel was taken with the Temple Court’s stunning nine-story atrium. He has signed contracts for apartments at both the Woolworth Tower and the Beekman, but declined to disclose how many or at what price. While he plans to live in each for some time, his aim is also to sell at a profit. “A limited supply is always going to hold the price up nicely,” he said. At this moment, a number of interesting and distinctive prewar buildings with spectacular lobbies are being converted to residences, including 100 Barclay and 70 Pine in Lower Manhattan, both of which have lobbies that have been designated landmarks by the New York City Landmarks Preservation Commission. Most of the buildings were built as office towers in the early 1900s when the headquarters of banks, utilities and other major companies were designed to convey the strength, power and success of the companies. Like a vintage Studebaker or a classic Ford, one can safely say they don’t build them like that anymore. But there are challenges to restoring a piece of the past, while trying to satisfy the expectations of contemporary home buyers. Decisions must be made about what can be saved and what must go. And when a lobby is a designated landmark, preservation is the name of the game. The 31-story Verizon building at 140 West Street, across from One World Trade Center, was designed by the architect Ralph Walker for the New York Telephone Company. 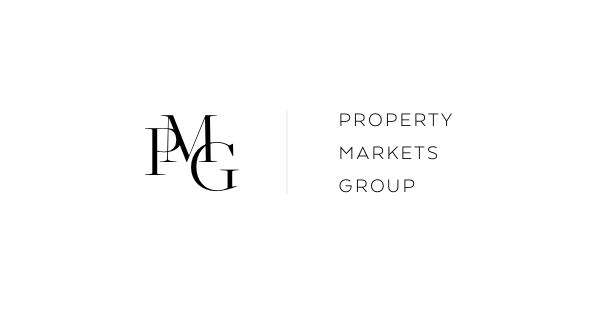 It is receiving a residential overhaul from the Magnum Real Estate Group and the CIM Group. The full-block 1927 edifice, which will have condos on the upper floors, has a stunning Art Deco lobby that is a designated landmark. Bronze medallions are set into a buff-color travertine floor with black geometric detailing. The ceiling is adorned with 12 hand-painted murals with gold leaf accents, depicting the history of communication, including smoke signals, carrier pigeons and the early telephone. Half of the glamorous 6,000-square-foot space will remain a corporate lobby for Verizon. The other half, which is sectioned off by a screen and will use the address 100 Barclay, will be an exclusive residents lounge, furnished by Alexandra Champalimaud, an interior designer. “Our job was to create a lounge-like setting with screens and lights and furnishings” that would complement the original lobby, she said. The fittings “had to be imaginative, striking, useful, contemporary, emotional.” These include a slick red round table from Standard 41, brass cocktail tables from Milo Baughman and leather and brass armless chairs from Dunbar, she said. Ms. Champalimaud is also designing the interior of a new residential lobby, which is in a part of the building that does not have landmark status. This area will be used as the main entrance and reception area for condo owners, who are to pay about $2.5 million for two-bedrooms and $15 million for five-bedrooms. The new lobby will be “a more intimate arrival space,” she said, connecting to the original elevators and the original lobby. Honed Calacatta Tucci marble floors in a herringbone pattern with black stone accents nod to the original travertine floors in the old section, where bronze figures are inset into the floors. In the new lobby, the reception desk will have a bronze finish and be lighted with pendants and sconces. “The intention is to be very sort of warm, but substantial,” she said. Another telephone company building by Walker, 425 West 50th Street, a.k.a. Stella Tower, also was designed to make a good first impression. While it is not a landmark, it has a showboating lobby with terrazzo floors, decorative plaster crowns and ornamental grilles. By 2011, when the JDS Development Group and the Property Markets Group acquired the top eight floors of the Art Deco edifice from Verizon, the successor to New York Telephone, the lobby had lost much of its luster. Security turnstiles had been bolted to the terrazzo, Art Deco grilles were pitted and delaminated, and geometric plaster crowns had been painted a garish gold-green hue. The most economical thing to do would have been to demolish it and start anew. But the developers had experienced success with Stella Tower’s downtown sister, Walker Tower, another conversion, where a penthouse sold in January 2014 for a $50.9 million, a record for downtown. So, said Mr. Stern, they decided to embark on a “seven-figure” lobby face-lift. First, the lobby was split in two, with separate entrances — one for the residents of the condo and one for Verizon, which retains control of the lower floors. Then work began on the residential side. Terrazzo floors were sanded down and polished to bring back their original sparkle. Ornate metalwork was restored by hand, including geometric grilles made of antique nickel silver. To comply with the fire code, the star-pattern plaster ceiling was demolished so that sprinklers could be installed. The ceiling was then recreated from new materials, and a huge circular chandelier designed for the space was hung in the middle. While many lobby elements were saved, the old terra-cotta wall tiles were scrapped in favor of light-colored onyx slabs cut at a 45-degree angle and meticulously paired to create a striking chevron wall pattern. So far contracts have been signed for 39 of the 51 Stella Tower residences since sales began last May. Prices range from $1.8 million for a one-bedroom to $14 million for a three-bedroom. The expansive marble-clad lobby at 70 Pine, also known as the Cities Service Building, is, like the building itself, a city landmark. That means the developers, Rose Associates and DTH Capital, must tread lightly as they transform the Art Deco tower into 612 rentals above a new extended-stay hotel. Designed by Clinton & Russell, Holton & George in the early 1930s for the headquarters of the Cities Service Company, an oil and gas business that eventually became Citgo, the lobby features aluminum details that express the original owner’s role in the production and delivery of energy. The figurative panels that decorate the elevator doors are credited to one of the era’s best-known architectural sculptors, René Paul Chambellan, according to a Landmarks Preservation Commission designation report. Over the years the lobby remained largely untouched and was well maintained by building owners, which included the American International Group. Designed with entrances from Pine, Pearl and Cedar Streets, 70 Pine was laced with passages lined with shops, including a drugstore, a bookstore, a tobacconist and a telegraph office, to provide amenities for office tenants and the public, according to Rose Associates. But in the last decade or so much of the space was effectively closed to all but office tenants. The developers plan to reopen the building to the public, filling 70 Pine’s retail spaces with a variety of services. The glass partitions designed to section off certain elevator banks for residents and hotel guests had to be approved by the Landmarks Preservation Commission, a process that took months and many revisions. Six unused elevator shafts will be turned into mailrooms for residents, with their elaborate Art Deco doors preserved in a perpetually open position. The Woolworth Building’s original 1913 grand arcade, designed by Cass Gilbert, may be the most famous office lobby in New York. Its glittering mosaic ceiling draws camera-toting tourists and architecture buffs to 233 Broadway regularly on appointment-only tours of the lobby, which, like the building, is a designated landmark. Alchemy Properties is now turning the top 30 floors of the copper-topped skyscraper into high-end residences. It had no intention of competing with the majestic ground-floor space when it decided to craft a new lobby around the corner at 2 Park Place. Rather, the idea is to complement the original through thoughtful design and the use of items salvaged from the building, according to the designer, Thierry W. Despont. The new lobby is taking over a former retail space that was not an interior landmark. A double set of custom metal and glass doors will open to maple-paneled walls and marble floors. Overhead, residents and their guests will see the ornate coffered ceiling that decorated F. W. Woolworth’s personal office, which is being restored, reinforced and relocated from the 40th floor. It will be the focal point of the new residential lobby. The distinctive W motif of the original iron elevator surrounds will be recreated for the new lobby’s elevators. Upstairs, 34 residences, spanning half and full floors, will begin on the 29th floor and range from one-bedrooms for about $4.6 million to the $110 million penthouse in the pinnacle. One of the challenges of restoring a historic lobby, developers say, is to find a balance between the original design and contemporary tastes. At the Chatsworth, an early 20th-century rental building being converted to co-ops by the HFZ Capital Group, the design firm Pembrooke & Ives was hired to modernize the existing 4,000-square-foot lobby while rehabilitating and restoring many of its original features. While the building’s exterior has landmark protection, the lobby does not. Designed by John E. Scharsmith in a Beaux-Arts style, the building at 344 West 72nd Street has an elaborate facade adorned with cherubs, fruit, stags and other ornaments. It takes its name from Chatsworth House in England, the seat of the Dukes of Devonshire. The English inspiration is also evident above a marble fireplace in the lobby, where there is a coat of arms. So when it came time to restore the Chatsworth’s lobby, there was “much hand wringing” over certain lobby elements, said James Lansill, a senior managing director at the Corcoran Sunshine Marketing Group, which is handling sales. The hand-carved wood paneling will be cleaned but not stripped, so as not to damage the patina. Marble mosaic floors and columns will remain. Skylights will be restored and backlit. But some ceiling garlands and other ornaments will be replaced with simpler motifs. Contemporary furnishings and fixtures, including an Italian chandelier, will be placed within the historic setting. The thinking is that the contrast will enliven the space with new energy and life. Prices range from $2.875 million for a two-bedroom to more than $10 million for a five-bedroom.